The Satanic Temple is a non-theistic, non-supernatural religious organization founded by Lucien Greaves and Malcolm Jarry. TST focuses its principals on the literary Satan, who is a character that exudes self-worth, wisdom and an inalienable sense of justice. 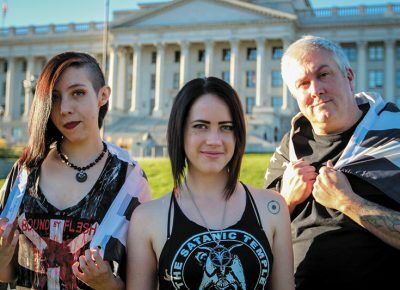 Learn more about the Utah Chapter of The Satanic Temple here.